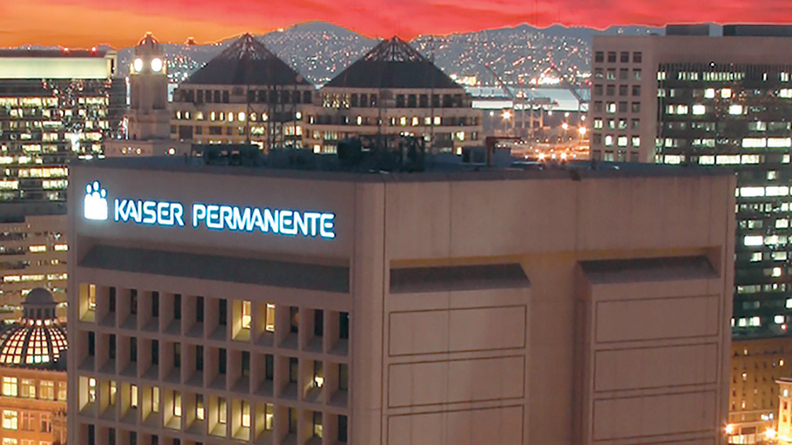 Thousands of Kaiser Permanente employees across California are expected to protest over the next few weeks in response to worries that there will be layoffs and wage cuts in the near future. The protests, which began Wednesday at four Kaiser facilities, are organized by the SEIU-United Healthcare Workers West, which represents more than 55,000 Kaiser workers. The protests are expected to occur at 32 Kaiser Permanente hospitals across the state through March 9. Wednesday's protest was expected to draw hundreds of picketers. Kaiser workers are protesting anticipated wage cuts the Oakland, Calif.-based health system hasn't announced. The union claims there will be a 20% wage cut for caregivers in Fresno, Manteca, Modesto, Stockton and Tracy and a 10% wage cut for workers in Davis, Roseville and Sacramento. Additionally, the union said Kaiser plans to outsource 280 pharmacy warehouse jobs, layoff 700 employees at three call centers in Los Angeles and move some jobs to other areas of the state where workers will earn $2 per hour less. SEIU-UHW said they were told of the layoffs by Kaiser officials in November 2017. John Nelson, vice president of communications at Kaiser, said the union's layoff claims are "simply not true." Nelson also denied that Kaiser has announced any wage cuts. "We have not announced or made any wage proposals for SEIU-UHW members. We are committed to providing our employees excellent wages and benefits wherever they work," Nelson said. He added that the picketing will not impact Kaiser's care delivery or operations. The union's current contract with Kaiser will expire Sept. 30. Contract negotiations are expected to begin in late March. The protesters hope to inform the community about the expected cuts and layoffs, said Bernice Sical, an admitting representative at Kaiser Permanente South Sacramento Medical Center. She argues the wage cuts will lead to higher employee turnover and will thus impinge on patient care. "We are raising awareness in the community that this is happening," Sical said. "We need to protect patients." The rumored layoffs and wage cuts would come after Kaiser saw record revenue growth in 2017. The system saw its operating revenue jump by $8.1 billion in 2017, a 12.5% boost from 2016.